Visit the New Age Videos section for some of the most well researched and popular videos about Consciousness, Quantum Science, the Hidden History of Humanity, Universal Principles, and other Spiritual and Metapaphysical information. What is New Age and What Does It Mean? 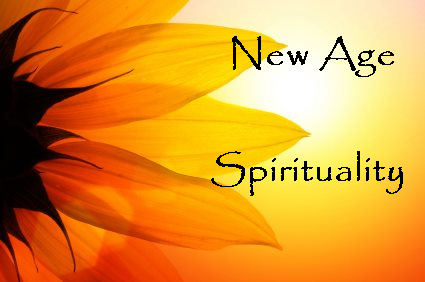 The New Age Movement is a Western spiritual movement that developed in the second half of the 20th century. Its central precepts draw upon both Eastern and Western Spiritual and Metaphysical traditions and infusing them with influences from Self-Help and Motivational Psychology, along with Altnernative Healing and Holistic Health, Parapsychology, Theosophy, Consciousness research and Quantum Physics. What is The New Age? Exploring the New age and what new age spirituality and the new age movement means and involves and the various things connected to it. Articles, Information and resources on Authentic Happiness and positive psychology in the New Age. The definitions of various terms and words used within the new age commuity and new age spiritual and an explanation of what they mean. New age self help related philosophy, psychology, mind science, universal prinicples & laws, and spirituality for personal development, inspiration and study.